I've never been a big Coach fan, but lately I have to give props to them as they are seriously upping their handbag game! Gone are the cheap canvas logos and in are luxurious leathers, sleek designs and most importantly, SUBTLE logos. Gimme gimme. 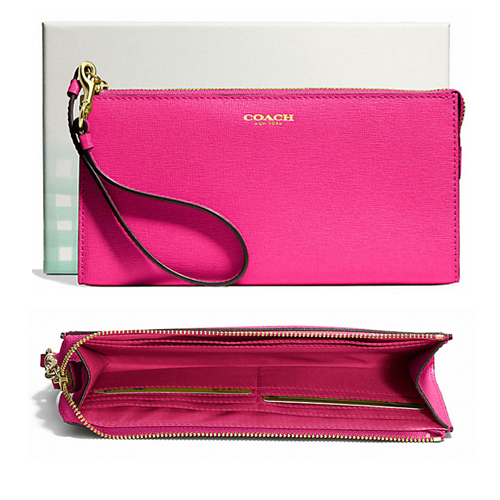 As I've been casually looking for a new wallet to complement my Kate Spade one, these options from Coach's latest spring/summer collection have me positively drooling. With a design this simple, it's best to opt for bold color. This bright fuschia pink is so hot and reminds me of my favourite family of lipstick shades! Although I find wrist bands on wristlets to often be superfluous, there's no denying the continuing chicness of this design. 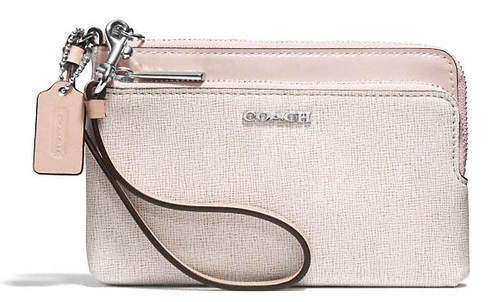 Continuing on with the wristlet love, is this subtle colour blocked leather option. I'm falling back in love with blush pink and the contrasting finishes on this wallet give it a maturer look that grounds this otherwise youthful colour. Opting for differing textures is a great way to do colour-blocking with a monochrome palette. 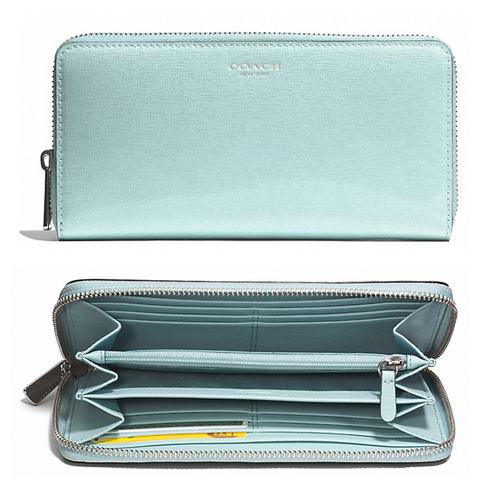 Last, but not least, is my favourite of the bunch, this minimalist zip-around wallet in baby blue. Unfortunately, this one is too similar to my current wallet, which is a Tiffany blue! I seem to have a thing for blue wallets. I love how this one is so practical with its multiple card slots and zippered coin pouch. The zip-around design is also great for security as you never need to worry about anything falling out. Which of these wallets would you buy?